Well, the label says it’s unique… and it is. I’m just not sure that it’s in a good way. 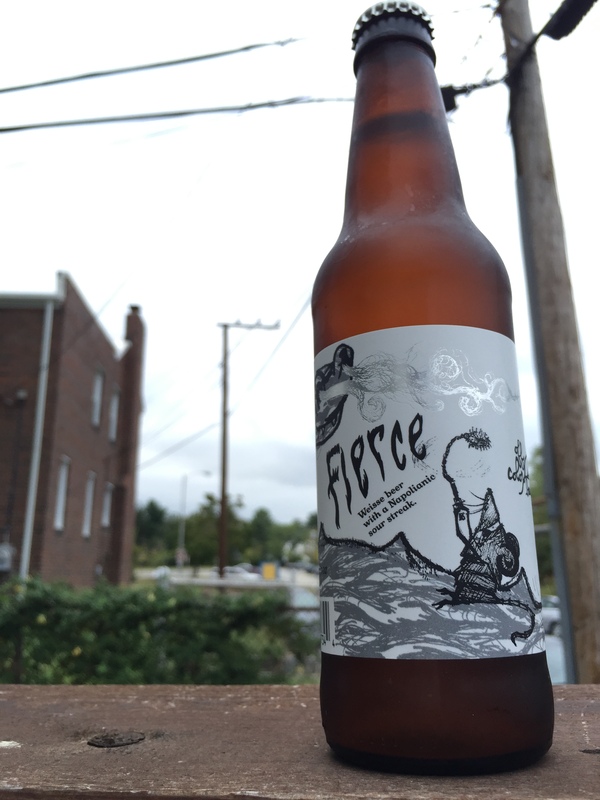 This is my first bottle from ‘Off Color Brewing,’ and I have to say that I really like their image. It looks like Off Color likes to do things differently- likes to make things their own. The pursuit of individuality is admirable, but in this particular case we must ask: has it worked? The bottle and labeling are awesome! The quality of the label itself shows a really nice attention to detail, and the obvious hand-drawn art lends itself to the unique identity of the brewery. The beer itself, however, pours like ‘an beer.’ I mean that in the Jeremy Clarkson sense, which is to say that it looks exactly like what someone would draw you if you asked them to doodle what a beer looks like. Very pale, very foamy (but the head dissipates amazingly fast), and nothing too fancy. There is something refreshing about the simplicity, however it does still leave something to be desired. Soooo this is awkward. It’s…not great. Because Fierce is slightly sour, there is a slight tart sent that comes off, but unfortunately it is masked by what I can only describe as ‘something funky.’ It’s not that bad, it just makes you pause like, ‘wait, did I smell that right?’ But to those who really favor sours, your sniffer may enjoy this more than mine. This is another case of great on the front, questionable on the back. 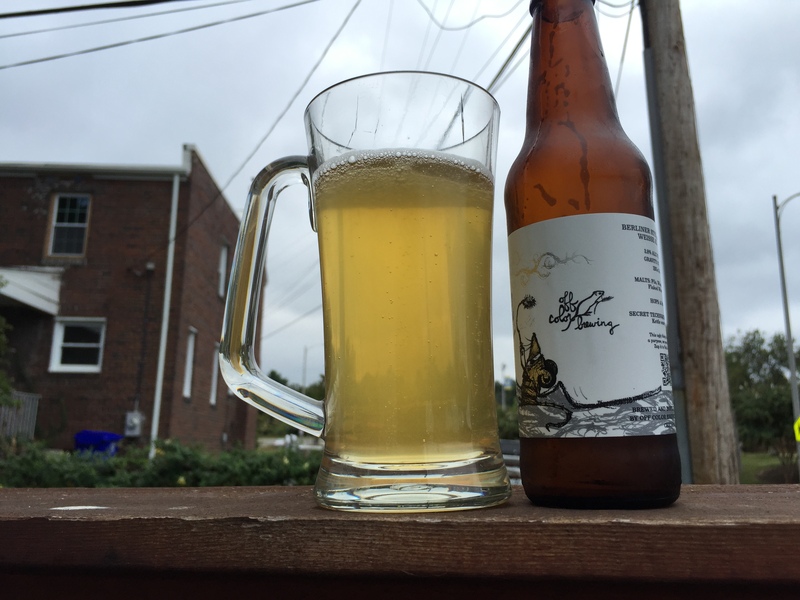 The sour really comes through, and there are a lot of light, refreshing weissbier qualities. But once you swallow and exhale, there comes the funk. Again I will say, it is not bad, just completely unrecognizable to me. I want to be as fair as I can to Fierce and to Off Color Brewing. The brewery, the image, the beer, the process: all honed and perfected the way that the creators wanted to make it; with no compromises, and without settling, and to that I say ‘Cheers!’ Unfortunately it’s just not for me. 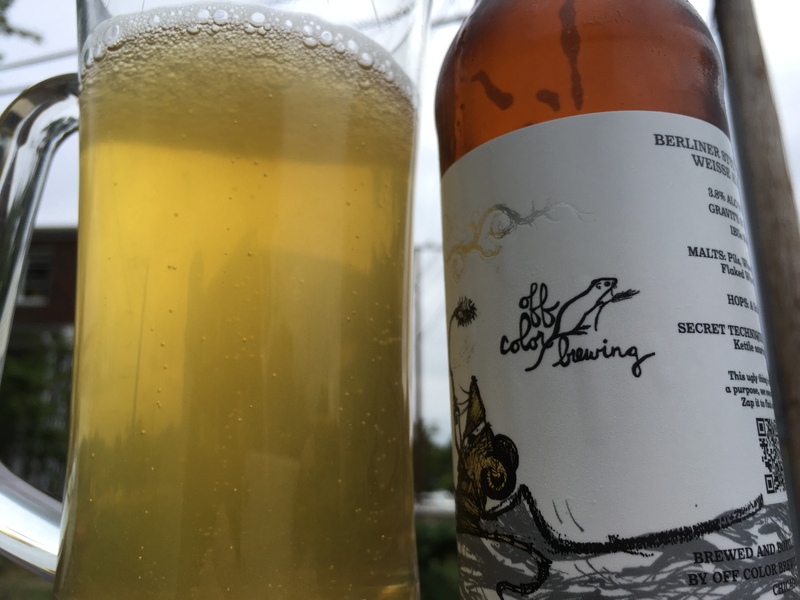 I do suggest that if you come across anything by Off Color Brewing that you pick up a bottle and experience something that is truly one of a kind. The First Draft on Facebook!